These fruits have cooling thermal nature, they are very sour, astringent flavor and antiseptic. Perhaps these are the most valuable fruits therapeutically speaking for people who have eaten a high-fat/protein diet. Lemon destroys putrefactive bacteria in both the intestines and mouth; used to purify the breath. Its antiseptic, anti-microbial, and mucus-resolving action make it useful during dysentery, colds, flus, hacking coughs, and parasite infestation. Lemon and lime have benefits the liver, encouraging the formation of bile, they improve absorption of minerals, promote weight loss, cleanse the blood, treat high blood pressure, thick, poorly circulating blood, and weak blood vessels. Lime alleviates flatulence and indigestion in general. Lemon increases the production of fluids in the body. Its juice, diluted with water, is often used for reducing the effects of summer heat, calming the nerves, treating sore throat, cramps, and diabetes, which are often marked by fluid deficiency. Lemon is used externally to heal sores (apply juice), to relieve itching from insect bites (rub in juice), and to soften and reduce corns (poultice). One drop of fresh juice combined with warm water makes a cleansing eye wash. Generally, limes can be substituted and are grown with fewer chemicals. 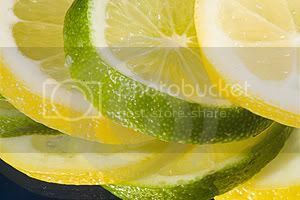 The citric acid content of lemons and limes is 4-6 times higher than oranges and at least three times that of grapefruit. Thus these fruits should not be used by those with too much stomach acid or ulcers. Besides, citric acid thins the blood, and so citrus should be used cautiously by those with weak blood signs such as pale complexion and tongue, insomnia, irritability, and thinness. Start with 1-3 lemons daily for one week and increase according to need and desire (9-12 lemons daily can be tolerated by the robust person in need of their properties).Lemon peel is used similarly to grapefruit peel, although it has stronger ability to move stagnant liver, while lime peel has even more specific action on the liver. Muscle dysmorphia is a psychological condition where people and mainly men become overly obsessed with muscle mass and body composition and have a obsessive need to work out and diet. They will avoid social and work responsibilities to uphold their workout schedule. They often take drugs and supplements they know are unhealthy in order to accomplish their goal. It is similar to eating disorders such as anorexia nervosa and bulimia that are most common in women. However, some men have eating disorders and some women experience muscle dysmorphia. Researchers from the University of Windsor in Canada, in a study of novice male and female weight trainers, found that some of their test subjects showed a propensity to develop this problem. While many people undoubtedly have unrealistic body images, extreme focus and devotion are required to reach championship levels. In champions, preoccupation and dedication are considered worthy, but are classified as psychological disorders in less-accomplished people.